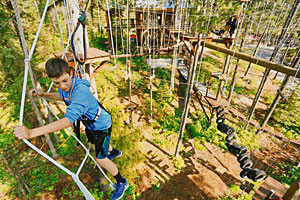 In Whitefish, kids can choose from a variety of fun activities. 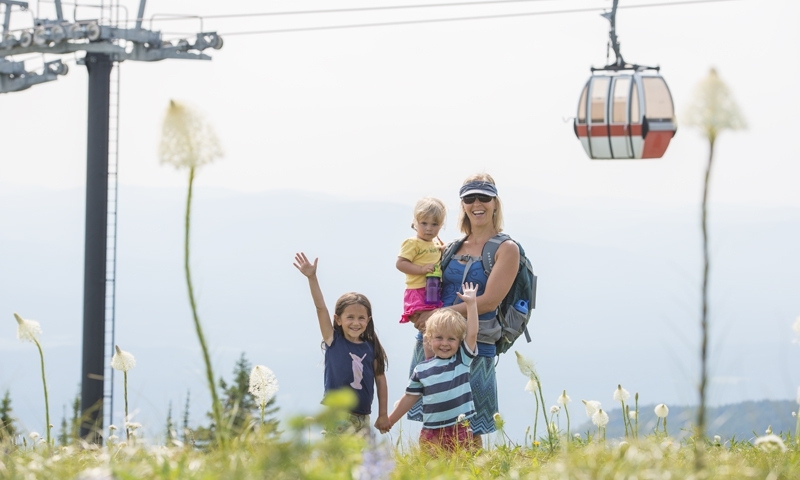 From easy day hikes to mini golf and water parks, Whitefish offers family activities for children of every age. Featuring kid-friendly activities including scenic & whitewater rafting, inflatable kayaking, paddleboard rentals, fishing and horseback rides. We can package them together. Take your kids on an excursion they'll never forget. 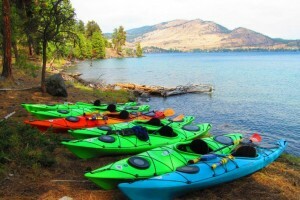 Take them on a tandem kayak Flathead Lake tour, or join you on a stand-up paddleboard on Whitefish Lake State Park. Have some 'Amazing Fun' just minutes from Glacier's West Entrance. Go-Karts, Maze, Bumper Boat, Mini-Golf, Basketball, Picnics & more. Buy a la carte or all day passes! Hot Air Balloon Flights. Sunrise and Sunset flights June thru October. Fly with one of the most experienced pilots in the country in one of the most beautiful locations. Kids can float away the day on an inner-tube at Big Sky Water Park’s river ride. Embrace your inner Picasso on a rainy day and paint some pottery at Stumptown Art Studio. Catch your first whopper-sized trout at the Pine Grove Family Fishing Park. 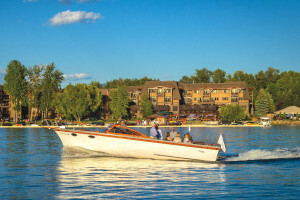 What can I do in Whitefish with my kids? 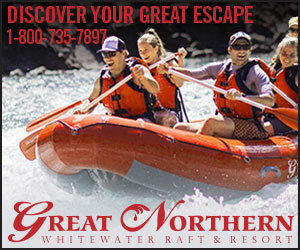 In addition to the miles of easy-to-moderate hiking that can be found in Glacier National Park, Whitefish and its surrounding area offer loads of fun recreational activities for children of all ages. No matter the activity, children will leave Montana with warm memories of Big Sky country and a deeper appreciation of the outdoors. Cool off with a refreshing swim at Whitefish Lake. City Beach is the only one of the area lake’s which provides a lifeguard. Flathead Lake, Swan Lake and Tally Lake are also popular for swimming, but do not have lifeguards. Take the little ones for their first fishing lesson at Pine Grove Family Fishing Pond, near Kalispell, off Rose Crossing. The pond stocks rainbow and cutthroat trout and is managed by the Montana Fish, Wildlife and Parks. Get up close and personal with some adorable ranch animals at the Little Bitty Ranch in Kalispell. Located at 95 West Reserve Drive, this non-profit educational zoo features a riding area, petting zoo, picnic area and playground. Kids get a chance to meet horses, goats, a donkey, miniature pig and turkey. One of the largest skateparks in the state, David Olseth Memorial Skate Park in Whitefish offers 15,000 square-feet of rails, stairs and deep bowls. There’s no better way to cool off and have loads of fun then at a waterpark. Located at the junction of Highway 2 and Route 206 just outside of Kalispell, the Big Sky Waterpark offers miles of waterslides and floating rivers. For small children there is a wading pool with lots of toys. Other activities include mini-golf, water games, arcade, volleyball court, bumper cars and antique carousel. Any day is good to visit downtown Whitefish’s Stumptown Art Studio, but on a rainy day it’s nice to relax and watch the rain while you paint a ceramic bowl, make a mosaic or play with clay. 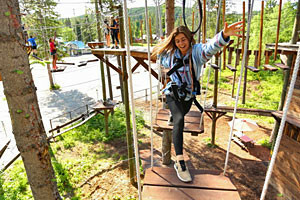 The fun goes on for hours at the Northern Lights Laser Tag Park outside of Kalispell on Highway 2. The 3,500 square foot laser tag arena offers everything you could want in a laser tag match and rents everything from guns to vests. An arcade, laser maze, play area and pizza place are also located here. For families who want to get out and explore there are many options, but Glacier National Park is called the Crown of the Continent for a reason-it offers some of the most spectacular scenery in America. For families with small children, there are great opportunities to hike inside the park. Check out easy hikes like Trail of the Cedars, MacDonald Lake Trail and John’s Lake Loop. During the winter months, kids can get out on the ice to figure skate or play a little hockey at the Stumptown Ice Den in Whitefish, on Wisconsin Avenue.